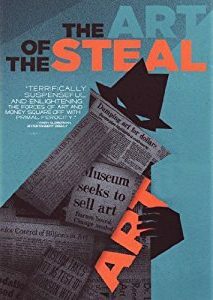 The Art of the Steal tells the story of the provocative move of what is often considered the world’s best collection of post-Impressionist art, called The Barnes Foundation. Named for Dr. Albert C. Barnes, the collection was written into his will to be located in Lower Merion Township. A chronicle of the breaking of his will and resultant community tensions, The Art of the Steal is an art documentary not to be missed. The Art of the Steal (2009) Documentary, USA, English, Not Rated, 101 min. Directed by Don Argott. 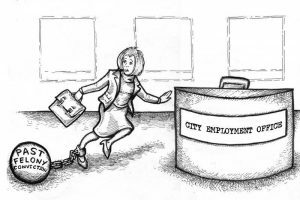 Speakers Kristin McRoberts – Benton County Prosecutor’s Office and Bill Keizer – I Did the Time, Spokane, are going to speak about the troubles of the people who have spent time in prison, getting a job once they get out. 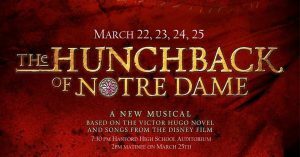 Mid-Columbia Musical Theatre is proud to present The Hunchback of Notre Dame. A Timeless Story. Four Performances. One Weekend Only. From the Academy Award-winning team of Alan Menken and Stephen Schwartz comes a lushly scored retelling of Victor Hugo’s epic story of love, acceptance and what it means to be a hero. The sweeping score and powerful story make The Hunchback of Notre Dame an instant classic. Audiences will be swept away by the magic of this truly unforgettable musical. 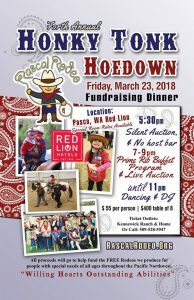 7:00 p.m. – Dinner, Program, Live Auction, Dancing until 11 p.m.
Join Rascal Rodeo in helping raise funds to help us continue to grow and provide rodeos for those with Special Needs throughout the Pacific Northwest. 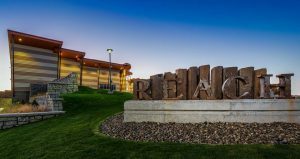 Purchase tickets at Kennewick Ranch & Home or by calling 509-528-5947. Join us and the band for a night out to raise money for The American Cancer Society. 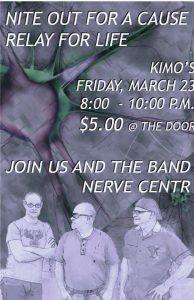 $5 (or more if you’d like to make a larger donation) at the door gets you in to hear the band and join the festivities. Drinks and food can be purchased separately. Hosted by Relay For Life of Columbia River, WA. “Persistence of Pattern” has been selected as theme for 2018 Tri-City Quilters’ Guild quilt show. 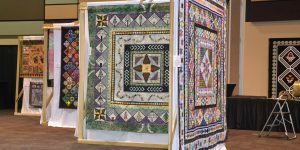 With more than 400 quilts on display, a bustling merchant mall, live music, workshops and lectures, the Quilt Show is a premier event for anyone who enjoys quilting and fiber arts. For nearly two decades we have celebrated the annual return of nearly 35,000 sand hill cranes to Othello, Washington every March as they migrate north to their breeding grounds in Alaska. The Festival offers an incredible opportunity to view the cranes up-close, with tours led by local experts. The Festival also boasts other specialty tours of the flora, fauna and geology of the area, and many lectures, as well as children’s activities. The Festival has grown over the years with returning participants attending from across the country. Pre-registration is suggested to reserve your seat as some tours fill up quickly. 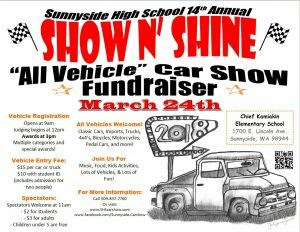 This event is free and open to the public and Kids are welcome! 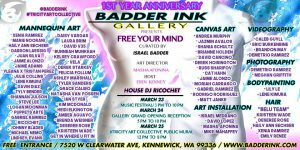 Badder Ink gallery and the Tri-City Art Collective are excited to present Badder Ink’s First-Year Anniversary Art Show: “Free Your Mind,” a 3-day Art Event, showcasing the creative diversity of the greater Tri-Cities and Pacific Northwest with over 60 local artists spanning across various mediums. – Friday from 3 p.m. – 10 p.m.: The event begins showcasing a line-up of local musicians and performers. – Saturday from 5 p.m. – 10 p.m.: “Free Your Mind” Gallery Opening Reception for 60 various artists across all mediums working with mannequin torsos, flat canvases, hair art, and installation to create the largest and most diverse representation of the local art scene. – Sunday from 12 Noon to Sundown: The event commences with a public community mural at Badder Ink’s Kennewick location. 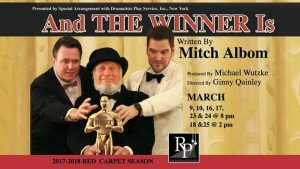 This comic story tells of Tyler Johnes (Michael Thomas), a self-obsessed movie star, who is finally nominated for an Oscar, then dies the night before the awards. Outraged at his bad luck and determined to know if he wins (even though he’s dead), he bargains with a heavenly gatekeeper (Terence Knox) to return to earth for the big night. Along the way, he drags his agent (Robert Chisholm), his acting rival (Patrick Killoran), his bombshell girlfriend (Diana Milton) and his ex-wife (Katrina Carlson) into the journey, in a wildly twisting tale of Hollywood, the afterlife, and how we are judged. Fee: 1 mile or 5K, $25 with t-shirt, $20 without t-shirt, Hawaiian Theme, free Starbucks Coffee & Spudnuts, lots of vendors and cute dogs!!! 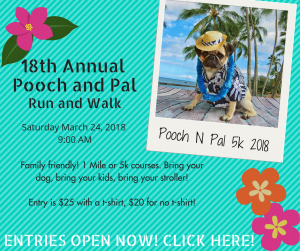 About This Race: You can run or walk starting at 9 a.m. with or without your pooch in all events at Columbia Point Marina in Richland. The course follows the beautiful Columbia River Trail. Everyone will have quick turnarounds at the half-way marks of all races in Howard Amon Park. Course closes at 11:30 a.m.
Pickup: You can pick-up your race number and t-shirt on Friday, March 23 from 6:00 – 7:00 p.m. at the Columbia Point Marina Start Area in parking lot or on race day at 8:00 a.m.
Spectators welcome starting at 11 a.m.
Join us for food, music, kids activities, lots of vehicles and lots of fun! 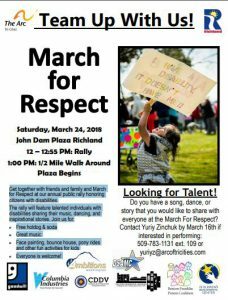 Rally from 12 noon – 12:55 p.m.
Get together with friends and family and March for Respect at our annual public rally honoring citizens with disabilities. The rally will feature talented individuals with disabilities sharing their music, dancing, and inspirational stories. 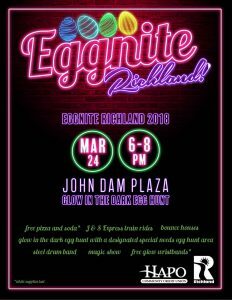 Join us at John Dam Plaza in Richland for Eggnite Richland! We will be celebrating Spring with a Glow in the Dark Egg Hunt! Free Pizza and Soda, bounce houses, crafts and more! Don’t miss out!! Note: this event replaces Morning with Mr. Bunny. 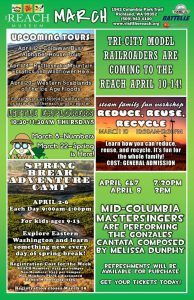 The Mid-Columbia Symphony will once again be featuring winners of its Young Artist’s Competition as soloists. Jennifer Higdon’s Blue Cathedral will open the concert. 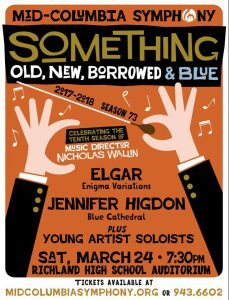 Elgar’s deeply touching Enigma Variations fill out the program. 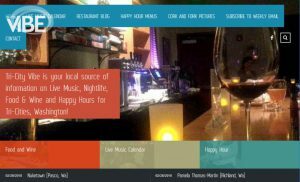 The Rose City Trio is a recently founded piano trio in Portland. 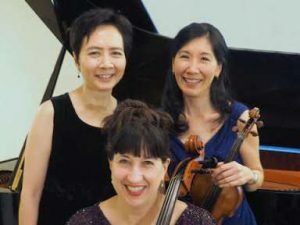 Its members consist of violinist Sarah Kwak, cellist Nancy Ives, and pianist Susan Chan, who have performed nationally and internationally as soloists and chamber musicians in various groups, and whose performances have received critical acclaim. 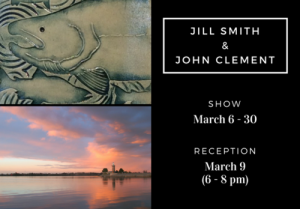 Artists Jill Smith and John Clement will be featured in March at Gallery at the Park in Richland. Smith has spent years working in clay. She has her own studio, Clay Fox Pottery, and currently explores high fire stoneware and raku, which are two pottery firing techniques. Clement has worked in photography for 40 years, winning numerous awards and displaying in countless shows. 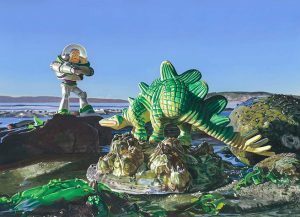 Their joint exhibition will celebrate nature. 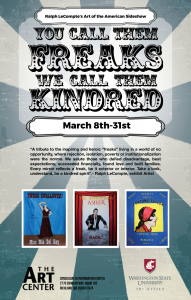 Monday – Thursday from 12 to 6 p.m.
A fine art exhibition called “You Call Them Freaks, We Call Them Kindred” featuring Ralph LeCompte’s Art of the American Sideshow will run from March 8th to the 31st at The Art Center WSU Tri-Cities. 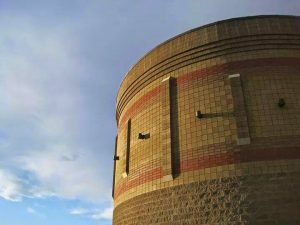 March 23: Dynamic Earth at 7 p.m. and Black Holes: the Other Side of Infinity at 8 p.m.
March 24: Secret Lives of Stars at 2 p.m. and Oasis In Space at 3 p.m.